Faith is taking the first step even when you dont see the whole staircase. Martin Luther King, Jr.Every follower of Jesus needs to be established in the 7 Basics to develop deep roots and a strong foundation of faith. 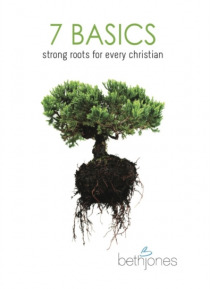 The short chapters include these basic topics: Get to Know God, Get Comfortable in Prayer, Get Excited and Telling Somebody, Get Your Head on Straight, Get to Know Your Bible and mor… e!The 7 Basics was written to help believers connects-the-dots on what it means to be a Christian and how to live out the joy-filled adventure of faith!